It wasn’t that long ago that we were happy with 3 Megapixels in what was considered back then as ‘compact’ cameras. The last couple of years, we’ve seen a massive reduction of cameras and the drive for higher resolutions. Some of that miniaturisation technology can be found in many of the mobile phones on the market today but the camera manufacturers haven’t stood still. 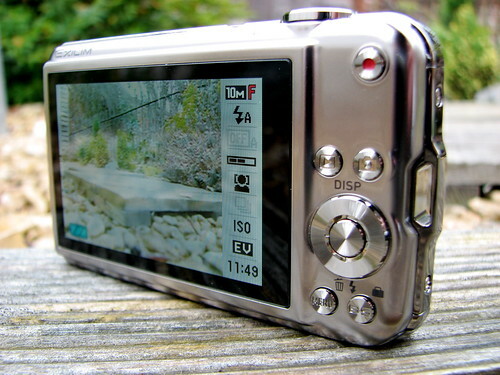 I’ve spent the last month testing out the Casio EX-S10 digital camera featuring a 10.1 Megapixel resolution and a massive screen crammed in to the back. But somehow, the engineers at Casio have managed to keep the whole package contained in a svelte metal chassis. When you first pull the S10 out of the box, the first thing you’ll notice is just how anorexic this camera is considering its specification. It feels solid and will fit nicely in your shirt pocket. The whole package feels well built and sturdy. Just remember to remove the tacky stickers that have been stuck on to the front. Swing around to the back and you’ll find the 2.7-inch screen dominates nearly the entire back. Those with larger hands may want to avoid trying to hit any of the buttons since they’ve been shrunk to fit the screen on. 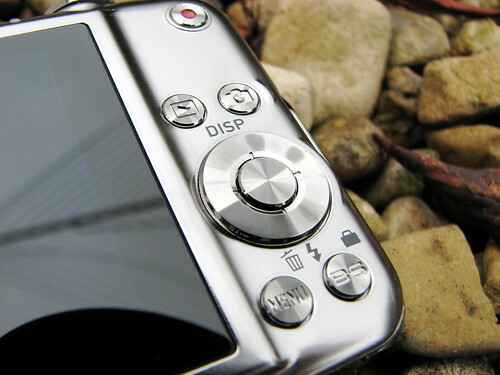 For the average hand size, you shouldn’t struggle too much with the controls and the zoom function is positioned at the top of the camera as a dial – a wise design choice. 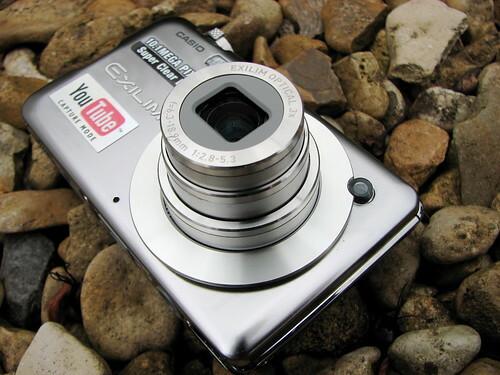 The S10 features a standard 3x optical zoom and 36mm equivalent focal length. A quick access scenery button allows you to choose one of the 36 available presets. I’m not so convinced that having so many choices is practical in real world usage. One thing I thought that was odd is the positioning of the quick access menu on the right of the screen. This menu is always present and consumes a good portion of the screen. I can only presume that Casio have done this due to the irregular proportion the screen size is. The quick access menu gives you control over flash, auto shutter, trigger sensitivity, face detection modes, ISO, white balance, resolution and time. If you look at any of the options on this camera, you’ll begin to realise that there are just a few too many controls that you can adjust. 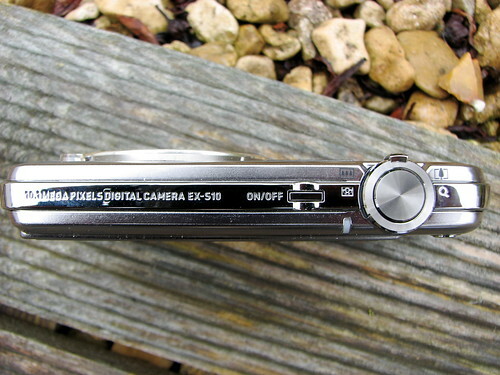 Great for those who like to tweak and fine tune but confusing for the average point and shoot photographer. Fortunately there are a number of set and forget options that addresses this issue. Face detection modes are becoming quite popular in higher end cameras with some mid-range models also receiving this semi-gimmicky feature. If you’ve not come across it before, it means the camera will identify where the heads are in the shot and ensure that these are in focus for the shot. Casio have taken this a step further with other options such as family recognition, “Gives priority to recorded family members”. There are also a number of shutter options that will detect certain scenes and take the shot automatically when it feels the right moment is due. Sounds like a haphazard way of taking shots, but my tests showed that it does work to a certain extent. Options that work with this include smile and blur detection. The former being that it won’t take the shot unless the camera is content that the subject is smiling enough. With Blur detection activated, the camera won’t take the shot until the subject is still enough to take the shot. A flash burst mode is something that I first saw on a Fuji camera I reviewed previously and is a good solution to a problem I often have – to flash or not to flash. With the flash burst mode activated, it takes three shots in sequence, but one of the shots gets the flash and the other two don’t. You then get the choice of flash on or off shots when you come to transfer them to your computer. Cold start up times are fast, taking just a couple of seconds to for the zoom to extend and the software to be ready to take the shot and there is the burst option for taking continuous shots at roughly 1 shot per second. Nothing to write home about but at such high resolutions, the file sizes and write speeds start to drag a little. On the note of storage, the EX-S10 can use an SD or SDHC card for storage, which is great since you can pick these up for next to nothing in massive capacities or for a little extra get the high speed models. This is an absolute must for the S10 since it only comes with 11MB of built-in storage – why even bother Casio? 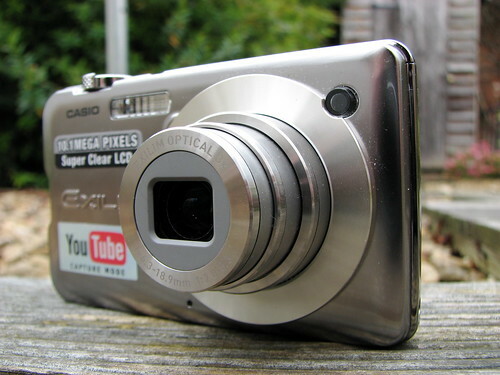 Casio are proud to have the YouTube capture mode on the EX-S10, hence the big bold sticker on the front of the unit. Selecting this mode to shoot video will set everything up for you to be able to upload straight to your favourite video streaming site. 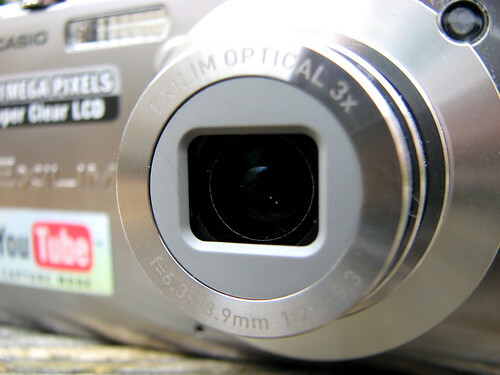 There’s also high quality and widescreen options for capturing video at 30fps 848 x 480 resolution, however recording times are capped at 10 minutes. The combination of a fast 30fps frame rate and high resolution recording delivers exceptionally sharp and smooth playback. Overall, Casio have built a good contender for the compact portable market. This is a highly competitive arena where the major players such as Sony, Fuji and Canon tend to play but the Casio should be considered an option with its quality video shooting modes and its plethora of shooting options. One thing Casio need to continue to work on is the image quality – stick a better lense in there or go and poach someone from Fuji to work on it because this is probably the one trick that Casio are missing – obtaining the perfect shot the first time, every time.